Michael Schumacher, author of “Torn in Two,” on the 1966 sinking of the six-hundred-foot freighter, which broke in half during a storm on Lake Huron. The Daniel J. Morrell on the St. Clair River on November 25, 1966, just days before her sinking. Photograph by Emory Massman. Courtesy of the Kenneth Thro Collection, University of Wisconsin-Superior. The story of the sinking of the Daniel J. Morrell is the story of two six-hundred-foot ships—the Morrell, and its sister ship, the Edward Y. Townsend. Both behemoths went into service in 1906 and both spent the next six decades hauling cargo on the Great Lakes, mostly uneventfully, except for a 1909 incident in which the Morrell collided with the Henry Phipps, another six-hundred-footer, at Whitefish Point, Michigan. But on November 29, 1966, the Morrell came apart while attempting to navigate Lake Huron during a powerful late autumn storm. Most notable, perhaps, is that the Townsend sailed through the same storm and could easily have met the same fate, as a 16-inch crack in its spar deck—in the same general area where the Morrell split—was discovered when it returned to port. In the book “Torn in Two: The Sinking of the Daniel J. Morrell and One Man’s Survival on the Open Sea” (University of Minnesota Press), veteran author Michael Schumacher—who has written about the Sinking of the Edmund Fitzgerald and the loss of the Carl D. Bradley—tells the story of the life and death of the Morrell, with an emphasis on the experience of the sole surviving crew member, Dennis Hale, who passed away in September 2015. In the following Failure Interview, Schumacher discusses the decisions facing the captains of the Morrell and the Townsend that fateful night, as well as the emotional price Hale paid for being a sole survivor, not to mention the safety measures implemented in the wake of the accident. Why don’t we start with a little background about the Daniel J. Morrell. The Morrell was one of the very first six-hundred-foot [ore carriers]. Its sister ship, the Townsend, was also more than six-hundred feet—big, big boats at the time they were built. In that era ship builders were lengthening ships at incredible speed. They went from three-hundred-plus feet to six-hundred-plus feet in just twenty years or so. They found that if that they moved the pilothouse forward you could load all that [cargo] in the middle, hence the long ships we are familiar with today. 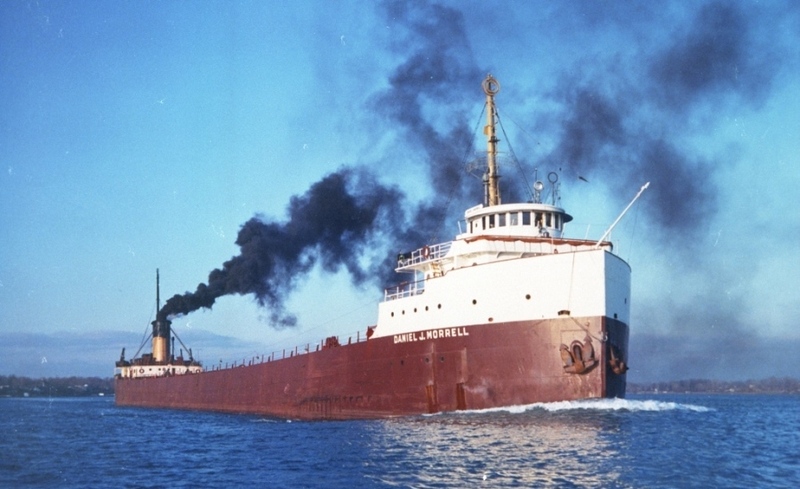 The big middle section allowed the Morrell—and other freighters like it—to carry previously unheard of loads on the Great Lakes. But making them longer meant you could get more waves under the boat—two or three waves at a time. You could get all sorts of sagging and lifting going on. It should be noted, though, that the Morrell was a strong boat when it was built. People want to believe it was a mess at the end, but it had passed the Coast Guard inspection, and while it’s fashionable to raise an eyebrow [about the Coast Guard inspection] the Coast Guard is in this for safety. The fact that its sister ship was out in the same storm and that it too started to crack across the deck tells you something about the length of these ships and how the bigger they got, the less safe they might be under certain conditions. Also, the steel that was used in ship building in 1906 was much more brittle than the steel used after 1948, and when the water was really cold [that old steel] would become even more brittle. Tell me about the storm that affected the Townsend and the Morrell in November 1966. It was a bad storm, no doubt about it. As usually happens with [late November storms on the Great Lakes], you had a period of warm weather and then all of a sudden a Canadian front came through and the systems clashed. When the Morrell left Lackawanna, which is right outside of Buffalo, they knew that they were in for some rough weather. In fact, they shut down, near Detroit, to let the storm pass. When they thought it was safe they started back out. I think what happened is that it was a little more storm than they were expecting. And they were making one last trip in the season because another boat had broken down. So they probably pushed a little harder than they might have had it been late October. Keep in mind, though, that the Morrell was on the water the night the Carl Bradley went down [in 1958]. And that was a more severe storm. But when it comes to shipwrecks, it’s rarely one thing that brings down a boat. It’s almost always a combination of things, and that was the case here. The storm certainly factored in a big way. Whenever you are talking about waves twenty feet or bigger, those are big waves. And getting two or three of them under a boat at one time creates all sorts of stress. At what point the captain of the Morrell [Arthur Crawley] realized his boat was in trouble, I don’t know. Both Crawley and the captain of the Townsend [Thomas J. Connelly] knew they had their hands full, though, because both were struggling to hold course. In the book you talk about the decision facing the captains of the Morrell and the Townsend: they were working for the same company, sailing almost identical boats, headed for the same port, in the same conditions on the same lake. Did that create pressure for them to both continue sailing? I believe that’s probably true. After-the-fact, the crew of the Townsend didn’t talk about feeling any pressure because the Morrell was out, but I’m sure that held some weight. How would you like to report back to your company, saying, “We ducked in for the night.” And then the other boat calls in and says, “We made it to port on time.” That is not likely to sit well. How much pressure a company puts on its captains is hard to say. But I mentioned it in my book about the Great Lakes Storm of 1913 [“November’s Fury” (University of Minnesota Press)]. One captain [of the Henry B. Smith] didn’t want to go out and his company told him that he either had to go out or look for employment elsewhere. His boat ended up sinking and he died. Yet it could be that there was no pressure on the captains at all, other than what they created for themselves. At first, the home office didn’t even think it was unusual that the Morrell didn’t report when it was supposed to. The real concern started when a crack was noticed on the deck of the Townsend while the ship was being refueled. At that point the captain of the Townsend expressed his concern. Dennis Hale was below deck when the Morrell split in two; tell me what happened and what Hale experienced. Hale was literally running for his life. He had to try to find clothes, get up on deck, and find his way to the life raft. When Hale rushed to the deck he could only see about halfway down the back of the ship. The rest of the ship was missing. Then, all of a sudden, he saw it rise out of the water. That tells you the back of the ship was broken, but it also tells you something about the process of hogging. If a wave gets under the boat and it’s a big one, it’s going to lift wherever it’s at and push upward. Waves would get under the boat and keep picking it up and dropping it back down. The engine room would always be concerned about that action, because when a wave would pick up the back of a boat the propeller would come out of the water and overspin and then when it was dropped back down there would be a tremendous shudder throughout the boat because it would suddenly meet resistance again. The structural failure occurred as the Morrell was being lifted and dropped [at the same time]. It’s a little like bending a paper clip back and forth and back and forth; it’s eventually going to break. The Morrell was being bent back and forth—not only in this storm, but in its long history. And once it started to crack, it was like hearing a piece of paper tear—right across the deck. It must have been surreal for the crew to see and hear the ship come apart. It was strange because nobody in the back of the boat knew anything happened, at least not at first. They were under full power. The front of the boat lost power and they knew instantly something had happened. The bow went down in six to eight minutes. Imagine being in a life raft on deck and the storm is going on all around you. There is slush all over the deck and water is coming over the rail. What goes through your mind when you are sitting in a life boat and you know with absolute certainty that you are going to be in the water in a minute or two? When Hale and the other crew members were on that raft they discussed what was going to happen. The electrical wires were severed so they couldn’t get off a distress signal; the crew members knew they were going to need to be very lucky for anyone to possibly rescue them. 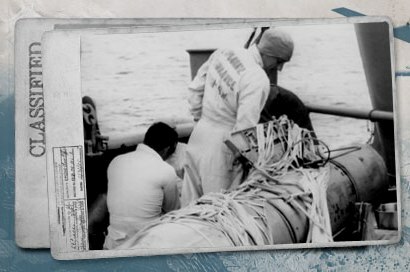 What was Hale’s experience on the life raft? There were four crew members on the raft. They tried at first to send signals but then they had to settle in, as the Morrell went down around 2 am and they knew they had to make it until daylight to have any chance of being rescued. Hale was wearing nothing but boxer shorts and a peacoat, so he knew he was going to be fighting hypothermia and that he was going to have a hell of a time ahead of him. The pain and suffering was so immense. Two of the men on the raft died before daybreak. Ultimately the raft washed up close to shore—in water that was only knee deep—but Hale was too weak to call for help or leave the raft under his own power. He lost twenty-five pounds from shivering and he had frostbite and hypothermia when rescuers found him. How did Hale fare after being rescued? First, there was the process of healing. When he was rescued he was almost dead. Hale said when a priest came to deliver last rites [in the hospital] he was surprised, because he thought he was out of danger. Then, while he was recovering, the press wanted to interview him, because his was a tremendous survivor story. Then, a week or two later he just wanted to get home. They finally transferred him to a hospital in Ashtabula [Ohio], where he lived. He was excited about that, but he still had a lot of work ahead of him, because walking was almost impossible and he had the sensation that his legs were full of water. He went through physical therapy so he could function again. And though he didn’t lose any body parts to frostbite right away, he did lose one toe and part of a foot, so he had to learn how to walk again. One of his closest friends from Ashtabula had died and his friend’s wife had come to visit him in the hospital. But the visit did not go well. He was alive and her husband was dead, and he started to realize that there was an awful price to pay for being a sole survivor. I saw the same thing with both survivors of the Carl Bradley. They had to leave their community because they felt ostracized and couldn’t live where so many people lost loved ones. So Hale soon clammed up. He didn’t want to talk to the press and describe what had happened. And that went on for some years; he refused to talk more about the accident. The crew of the Morrell were like family to him and the ship was the one place where he could be himself. And all of a sudden his family was gone and it was very difficult for him. How long did it take before Hale started to open up about the accident? He was getting up there in age before he started talking about it again. I met him for the first time in Rogers City, Michigan, for the fiftieth anniversary of the sinking of the Carl Bradley. He rang the bell for the service, and he was very moved by that service. My book on the Carl Bradley [“Wreck of the Carl D.” (Bloomsbury)] had just come out, and he was fascinated by it, because [he recognized that] sole survivors share an experience that no one else shares. What changes were made in terms of safety regulations in the wake of the accident? The most important change was the requirement of having battery-operated radios on board so you could send an SOS if the ship lost power. The problem was that no one knew the Morrell was down—nobody knew to look for the crew. And in the aftermath they started doing more stringent inspections on the [old ore carriers] to look for structural damage. There was talk about pulling all of them after a certain point in the shipping season, but there were a lot of older ships on the Great Lakes and you couldn’t just pull a whole fleet. But they became very picky about inspections and made them tougher than before. If it was a pre-1948 boat—if there was any sign of stress, they wouldn’t allow it to continue in service until it met the Coast Guard’s requirements. What was the fate of the Townsend in the wake of the storm? The Townsend never went out again. They discovered a crack after they got to safety. The owners had a discussion about what it would cost to repair the boat, and they decided it wasn’t worth fixing. So they sold the Townsend for scrap to a firm in Europe. 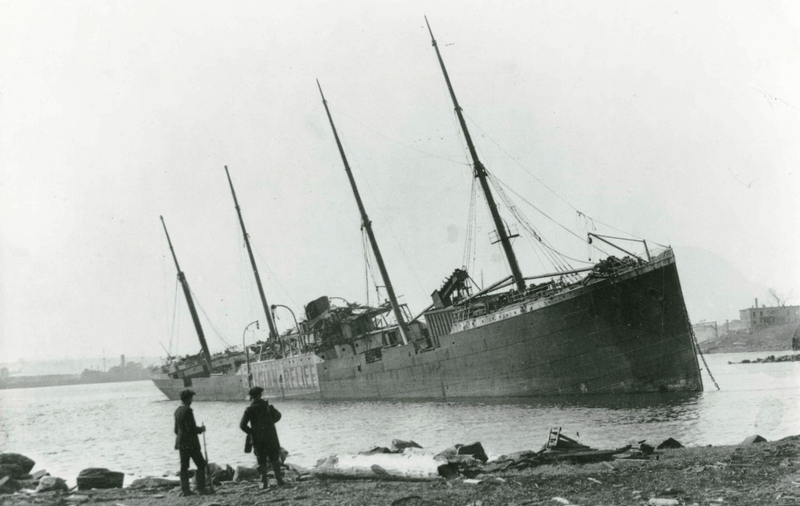 But while it was being towed across the Atlantic it encountered a storm and broke in half, just like the Morrell. So it never sailed again after the night the Morrell was torn in two, and probably with good reason. 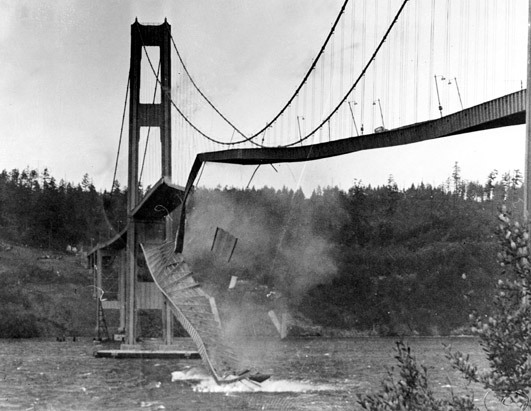 Tacoma Narrows Bridge Collapse—It remains the most remarkable engineering failure in history. The Day We Lost The H-Bomb—Cold war, hot nukes, and the worst nuclear weapons disaster in history. 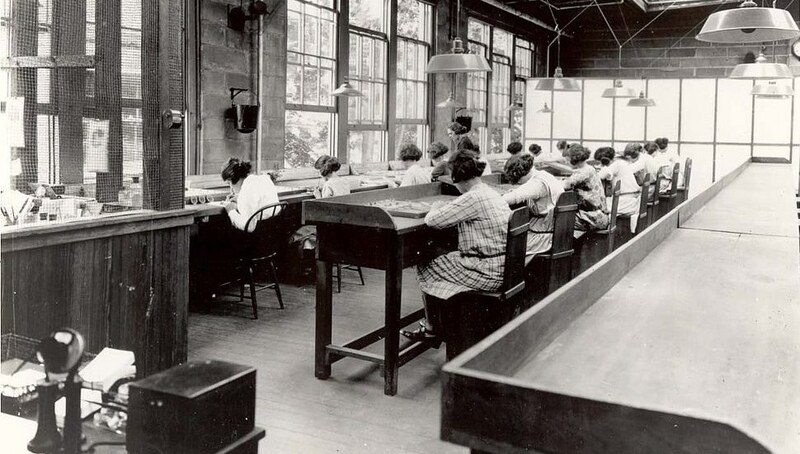 The Radium Girls—The young women who worked as dial-painters were the envy of their working-class neighborhoods … until they began suffering from mysterious, disfiguring illnesses.